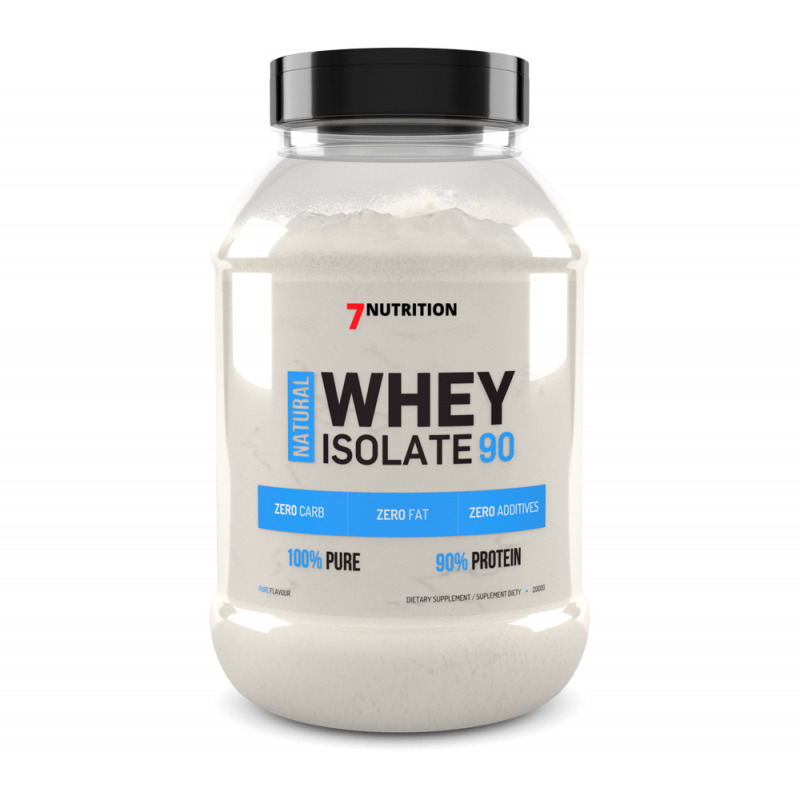 7Nutrition Natural Whey Isolate is a response to the needs of the most demanding athletes and people who care about the best form. 7Nutrition Whey Isolate 90 is the highest percentage of protein in a 100g product and has an excellent amino acid profile. Ingredients: 94.4% whey protein isolate (from milk), E414 stabilizer, acidity regulator: malic acid, reduced fat cocoa (for chocolate flavors), aroma, sweetener: sucralose. Contains allergens. How to prepare: one portion;a (30 g - 3 scoops powder) dissolved in 100-200 ml of water. Consume immediately after preparation.